Last week, I had a phone conversation with Mary McPadden, owner of Balanced Billing in Phoenix, Arizona. I met Mary at the 2011 Business Growth Expo (Tempe, AZ). At the event, she said she knew she needed to start blogging, but did not understand how devel0ping a blog could help her company. Many business owners I have encountered feel the same way. Everyone tells them they need to start blogging, but many do not understand the benefits a blog can bring to their business. When I started The Tutoring Solution in 2010, I needed to find new ways to make people aware of my business. I made the commitment to build a website, once it was online I found that people were not visiting my site like I had hoped. I began looking for new ways to promote my business, but didn’t have a lot of money to do so. This is when I discovered blogging. 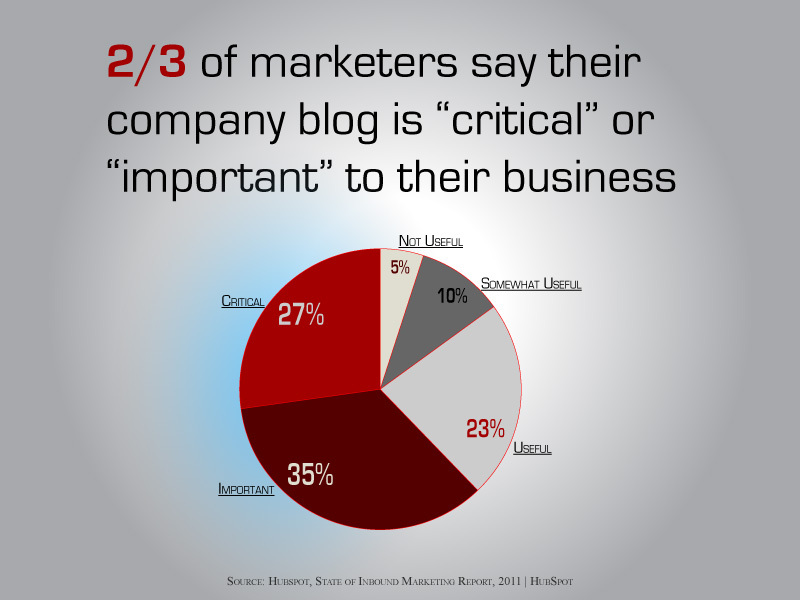 Blogging has had an immense impact on my business . . . not only in attracting more customers, but also by helping me develop a better understanding of the needs of my customers. A blog is the most efficient way to drive new traffic to your website using Search Engine (Google) results. When a person uses Google, they are looking for something specific that they want. If you are offering the product or service they want, it’s extremely important to be ranked highly on the Google Search Engine. Google Search Results are separated into two different categories, paid results and organic results. Organic results are more effective than paid results in attracting visitors to your website. When a person looks up something on Google, the organic search results that Google comes up with are the websites Google feels are the closest match for what the person is looking for. Being ranked #1 on Google is a sure-fire way to bring new business to your website. 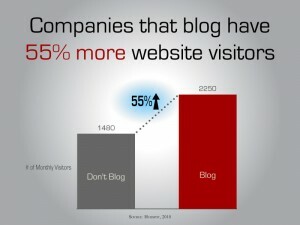 Blogging also allow users to find your website through a variety of different keyword searches. I started The Tutoring Solution website in June, 2010. Since that time, people have found my website using 2,111 different keyword searches on Google. 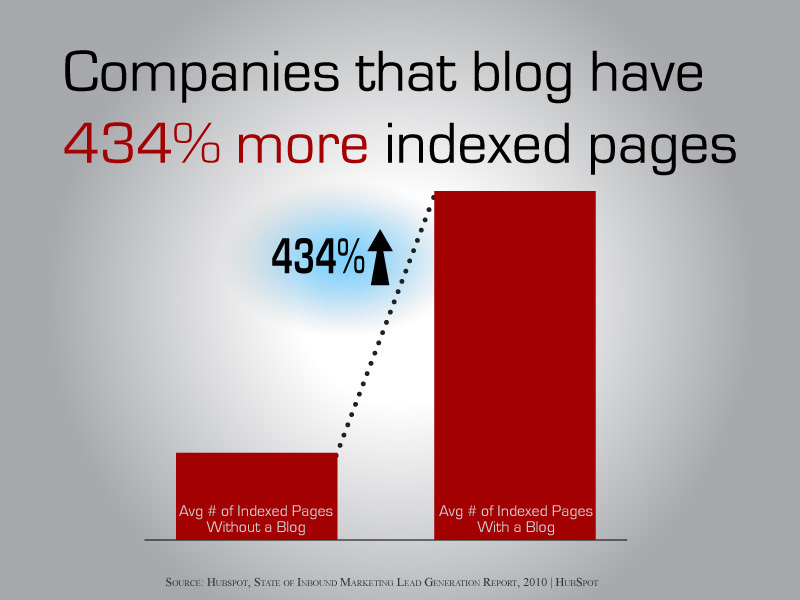 Every blog article written generates new keywords people can type in to find your business and increases the chances your business will reach the first page of Google Search Results. Another question we are frequently asked is, “What should I post on my Facebook/Twitter/LinkedIn/Google+ Pages?” A blog should be the backbone of any Social Media campaign because it is an excellent way to generate content for your Social Media pages. The more engaging your blog posts, the more likely people will interact with your Social Media pages. It makes it easier to increase followers on each one of your Social Media websites. When we began working for System 1 in Chino Hills, they had a fairly nice website setup which provided the basics for its customers including the types of services they provide and relevant contact information. Though they are an amazing company with a rich tradition here in Southern California, the lack of information on their website has hindered their success. The implementation of a blog has enhanced their online presence. Customers visiting their website have more information at their fingertips when making a purchasing decision. Countless customers have decided to get their tutoring with The Tutoring Solution as a result of our blog. I can’t tell you how many times a parent has chosen us because they related to the information we were putting out on our blog. Providing useful tips and information to your current and potential customers is a great way to establish a relationship and increase sales. In today’s world, customers want to know the company they are doing business with. The more information you have available on your website, the more likely your messages will resonate with your potential customers. Before I started the blog for The Tutoring Solution, I received quite a few calls from customers who were interested in the product, who wanted more information and were trying to feel me and my company out. My website suffered from not providing enough information to my customers. As a result, I had to try to “Sell” my tutoring services to potential customers over the phone. Almost every one of these conversations ended the same way . . . “Let me talk it over with so and so . . .” I never heard from these people again. The implementation of a blog had a drastic impact on the type of phone calls I received. Instead of feeling the need to “Sell” my products, the callers were already sold and the only real question I received was how soon they could start and how I could help them. When I first started The Tutoring Solution I charged $15 to $20 per hour, highly undervaluing my services and still parents asked for lower rates. I decided to create my blog to establish myself as the tutoring expert. I now charge between $35 to $50 per hour and no longer receive any questions regarding my pricing. My blog helped solidify me as the tutoring expert to customers who chose The Tutoring Solution over other companies in my area. Every business sets out with the goal to help others, but many times we feel like we have to “Sell” our products to unwilling participants. Developing a blog allowed me to stop ‘selling’ my services, and instead, let me enjoy providing a helpful service to my community. Many parents have told me that because of my blog, they were are already sold before they picked up the phone. Mary McFadden from Balanced Billing is a potential customer for Welborn Social Media who expressed a legitimate concern . . . How will blogging help my business? For me, it’s obvious, but when she asked me that question I found it hard to articulate my answer. By blogging, I am able to solidify, in my mind, the value and benefits I am providing to my customers. By answering real questions from customers and potential customers and using blogs to answer those questions I develop a stronger understanding of the needs of my customer. And my customers realize Welborn Social Media cares about their concerns and knows we will put forth the work to make sure their needs are met. Every customer has needs. They have their own concerns regarding any service or product they purchase. Blogging gives a company the opportunity to relate to their customers, to address any issues that arise, and alter their products and services to better meet the needs of their customers. When a company puts the needs of the customer first, they will see financial benefits as a result. *If you have questions regarding implementing a blog for your website, please contact Zeb Welborn at (909) 973 – 9089 or Zeb@WelbornSocialMedia.com. Posted in 2011 AZ Business Growth Expo, Blogging and tagged 2011 Business Growth Expo, Arizona, AZ, Balanced Billing, Blog, Blogging, Business, Business Owners, Customers, Drive New Traffic, Facebook, First Page of Google Search Results, Google, Google Results, Google Search, Helping Instead of Selling, How Will Blogging Help My Business?, Keyword Searches, LinkedIn, Mary McPadden, Organic Results, Organic Search Engine Results, Paid Results, Phoeniz, Promote My Business, Search Engine, Search Engine Results, Social Media, Southern California, System 1, The Tutoring Solution, Twitter, Useful Tips, Website, Welborn Social Media, Zeb Welborn. Well done Zeb, please correct the spelling of my surname though. 🙂 Silly Zeb….oh and there is a typo. insert the word ‘it’ between because and is. This sentence is right across from the 434% more graph. Have a wonderful, joy-filled holiday. Thanks Mary, so sorry for the misspelling of your name. One of the downfalls of blogging is the immediacy of it. It’s difficult to catch those grammatical errors when they slip into my writing. The good news is we can always correct those errors when someone points them out to us. We hope you have a wonderful, joy-filled holiday as well. Zeb, I enjoyed reading your post and it has inspired me to keep plugging away with my blog! Thank you for sharing. It is well written and concise! Thanks, to see value from blogging it takes time and commitment, but eventually you will reap the rewards. As long as you have a plan to do so.